Did you know that your body can’t manufacture Omega 3 fatty acids? This means you need to get them from your diet. 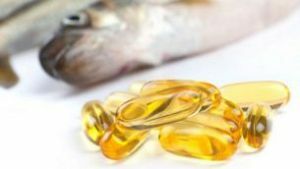 However, three out of five Australian adults don’t eat enough fish to obtain these amounts of omega-3 fatty acids from their diets, and consequently may benefit from taking a fish oil supplement. Furthermore the requirements of essential fatty acids change throughout your life cycle and consequently so do the optimal amounts of Omega 3 in your diet. Some of the best sources of Omega 3 fatty acids are deep sea cold water fish such as sardines, anchovies, mackerel and salmon. Wild caught fish are your healthiest option, but if you are not getting enough essential fatty acids from your diet you can consider taking high quality supplemental fish oil that contains therapeutic doses of EPA and DHA. These are long chain fatty acids; eicosapentaenoic acid (EPA) and docosahexaenoic acid (DHA) that are converted in the body from Omega 3 fatty acids. The conversion of EPA and DHA is possible from vegetable forms of Omega 3, ALA (alpha-linolenic acid), however this conversion is very minimal and decreases further with age. EPA and DHA form a part of the outer (phospholipid) membrane of your cells and can also be used as a source of energy by the body. • Cardiovascular health - protects your heart and helps support healthy cholesterol levels. • Musculoskeletal system - helps reduce joint inflammation. • Skin health - assists in the management of dry and inflamed skin conditions including eczema and dermatitis. Maintains skin elasticity and integrity. • Brain and eye health - supports healthy nervous system, brain and eye function. EPA and DHA fatty acids exhibit strong anti-inflammatory properties. Current research has linked many chronic health conditions to an underlying inflammation so the use of Omega-3 fatty acids can be very beneficial. The therapeutic dose (a quantity that is required to exhibit desired effect) of the EPA and DHA would depend on factors such as the type of condition being treated, your age and also your dietary intake of essential fatty acids. There are many different fish oil supplements on the market today, so how do you know which one to choose? Fish oil can oxidise very easily so a good quality product should contain an antioxidant that will prevent the oil from going rancid. • Is it sourced from certified sustainable fisheries? • Does it contain therapeutic doses of EPA and DHA? • Is it tested for heavy metals, dioxins and PCBs? • Does it include a natural antioxidant? • Is it free from common allergens such as wheat, gluten, nuts or dairy? • Is it a low reflux formula? Supplemental fish oil such as Fusion Health OceanPure Fish Oil complies with the above criteria for quality, sustainability and safety and provides therapeutic doses of EPA and DHA. Erika is a qualified naturopath, holistic nutritionist and natural health coach. Her passion lies in supporting and educating women on the importance of good health prior to conception and during pregnancy.